You’ve heard me say it a thousand times: to master data science, you need to practice. You need to “practice small” by practicing individual techniques and functions. But you also need to “practice big” by working on larger projects. To get some practice, my recommendation is to find reasonably sized datasets online and plot them. Wikipedia is a nearly-endless source of good datasets. The great thing about Wikipedia is that many of the datasets are small and well contained. They are also fairly clean, with just enough messiness to make them a bit of a challenge. As a quick example, this week, we’ll plot some economic data. Here, we’re going to scrape some data from Wikipedia and plot it using ggplot2. It sounds easy enough, but make note of the complexity here. We’re actually using several dozen techniques in mildly complex ways to get this done. If you’re at an intermediate level and you now most of the R data science toolkit, take a look at how everything is being put together. Don’t just run the code. Study it. You’ll become a better data scientist by studying other people’s code. #   for very similar data. Here, we’ll actually plot this two different times. First, we’ll plot the entire map of the world. 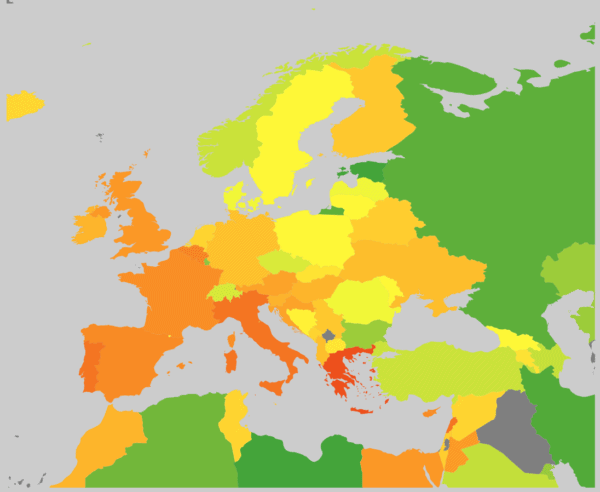 Next, we’ll sub-set this down and look only at a specific region: Europe. To do this, we can use coord_cartesian() to specify a specific range for lat/long. This essentially “zooms in” on a specific part of the map. 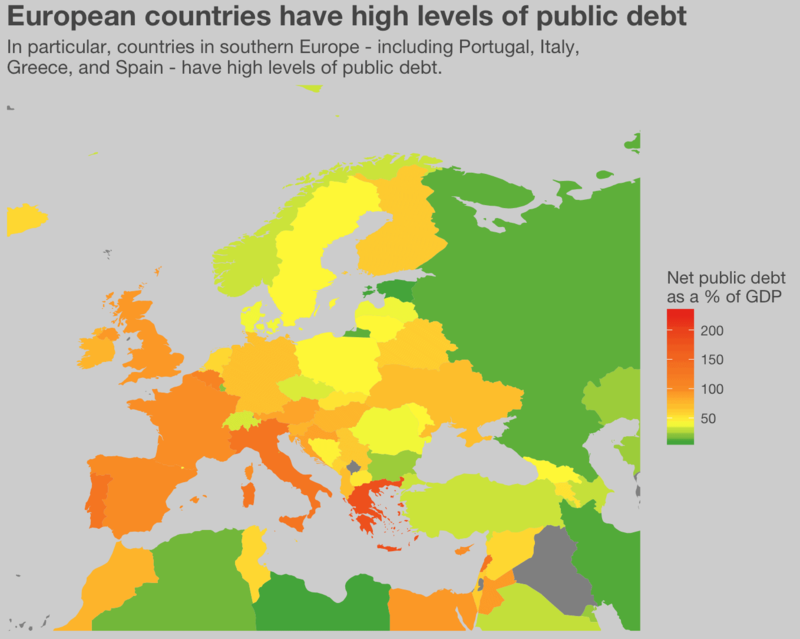 labs(title = "European countries have high levels of public debt"
Mastering data science takes practice and hard work. Don’t try to figure it out alone. Sign up now, and discover how to master data science. In our tutorials, we will help you learn and master the tools you need to be a top-performing data scientist. Moreover, if you sign up now, you’ll get access to our free Data Science Crash Course.